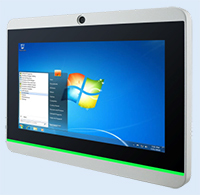 Access control and smart display system of an intelligence building is in a fast growing market, Winmate 7" Multi Touch Flat Panel PC (W07ID8C-PCM1 and W07TA3S-PCM1) is designed to fulfill the needs of this growing market. 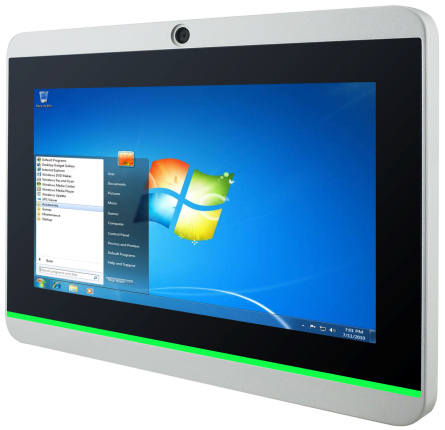 Available with a 7-inch screen, this powerful interactive and easy-to-use room scheduling solutions will improve productivity in the office or other professional environment. 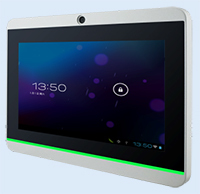 Powered by an embedded Intel Atom dual core processor for W07ID8C-PCM1 and TI Cortex A8 AM3354 for W07TA3S-PCM1, Winmate 7" Multi Touch Flat Panel PC combines the best in performance, form factor and usability. This elegant access control measures 189.4 mm x 145.4 mm and it is only 32.3 mm thick, which means it can be mounted almost everywhere. The surface of its aluminum case is smooth and the front panel features a multi-color (RGB) programmable LED light bar indicator. Another important feature is Power over Ethernet, whichmakes the device much easier and cheaper to deploy in terms of building infrastructure where communication and power supply of the device all comes from the same single Ethernet cable. 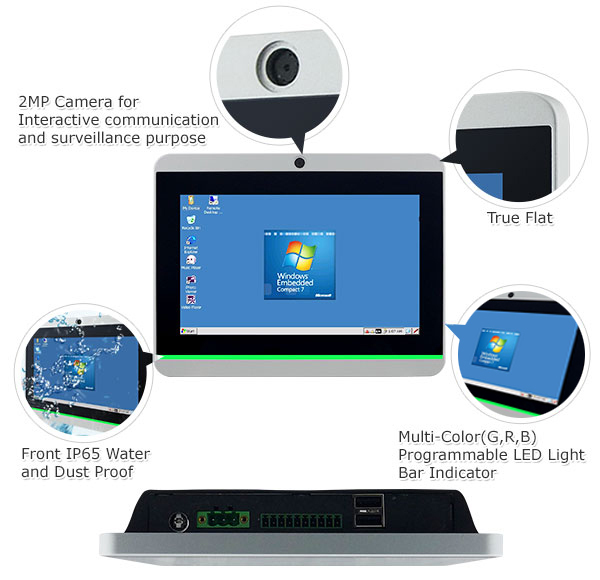 Winmate 7" Multi Touch Flat Panel PC is suitable for home automation and room management systems, and can be used in office, campus, or conference center. By connecting to centralized database, it can provide real time update for booking status and available schedule, or perform as a synchronous display in meetings.